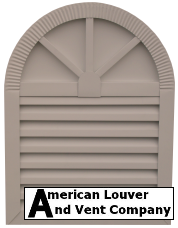 A classic tombstone louver shape with a new twist. The wagon wheel gable vent has a functioning lower half and a decorative designer wagon wheel on top. 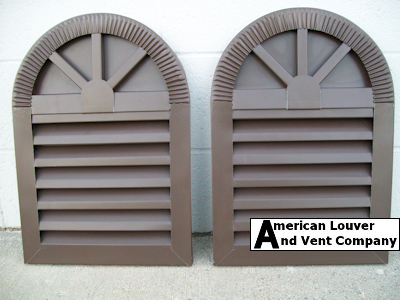 These louvers have become a staple for those looking to add a little extra to their gables. The wagon wheel gable vent is a great fit for smaller to medium-sized gables. The wagon wheel come standard with 3 spokes but can be customized with more to fit your desired look. These can also be built in any desired dimensions.